It's 2018, and that means that businesses have been on the internet for over two decades at this point. Whether you sell products online, or you simply have a website meant to funnel visitors to your contact form, your business probably has an online presence. Being online isn't quite a free service, however, and that means that your online presence should be adding to your bottom line. Strangers become visitors to your site, which (hopefully) become leads, customers, and eventually promoters, depending on the quality of the product or service, the customer service involved, and the overall satisfaction of the customer. Internet marketing comes down to a few core concepts: advertising and marketing efforts online to drive potential customers through the conversion process, and to confidently build your brand as the authority in the industry. Using the internet to your advantage to show your potential customers what your brand is about, and how your brand will get the job done best for them is what it's all about. Qualified and consistent content generation is a huge aspect of this, as it continues to build upon your audience's perception of your brand. But the first problem we need to tackle is how to get those strangers, those who might not know about your products or services, or those who might not have used your company before, to your website to start the conversion process. There are two factors to starting this conversion process we'll be discussing today: advertising and qualified content generation. We're surrounded by advertisements at basically every moment of every day. From ads in our Facebook feeds to ads on the radio and even more subliminal ads you might not have been aware of (ever notice the Amazon Logo and how the arrow points from A to Z?). According to Yankelovich, Inc. in 2007, the average person was exposed to around 5,000 ads daily. Now, this was in 2007, when smartphones and mobile technology were just kicking off to be what we use today (this is the same year the iPhone made its debut), that number could easily be doubled now that we have a computer in our pockets at basically any point during a normal day. I know what you're thinking, "If we see so many ads daily, why would it benefit me? After all, I would only be adding to the unending noise!" Or maybe you aren't, because you know that even through all of the noise, there is enough separation for your competition to only be a handful of other companies. Either way, this simply isn't the case. When advertising, you are pointing out the value of your product and service, potentially over ones of similar caliber. This eliminates a ton of competition in the advertising space—even though everyone is advertising around you, unless someone is specifically in your industry, or offering the same products/services as you, you need to worry much less about their ads, as well as the overall number of ads. High competition and an ever-decreasing consumer attention span make this process increasingly difficult. Brands in 2018 do just about anything to compel us to buy their product or service (even outrage marketing, like with The IHOb Situation from earlier this year). But the issue with these brands advertising in this fashion is that they basically switch on "louder is better" mode, cluttering the ad space with bigger, flashier, and harder-to-miss advertisements. These, of course, can drown out other advertisers, which is something you need to be aware of and try to avoid when advertising online. Fortunately, there is always a way to improve, innovate, and modernize advertising. Instead of covering all of the blank spaces with logos, advertisements, and branding, let's consider using the approach of High-quality advertising. These advertisements should be educational or entertaining and offer some sort of value to the potential consumer. From a feel-good advertisement for your favorite carbonated drink, to an ad explaining the dangers of carbon emissions, to an ad for laxatives explaining the usefulness while also getting a poop-joke in there for good measure, advertising with value almost always causes your ad to stick out and to be remembered better than those just boasting about a product or service. So, what about your ads? So, what does this mean for your company or brand when it comes to advertising? First, we need a way for your ad to stand out. One of the best ways to accomplish this is by creating an ad in such a way that it has some sort of perceived value to the potential customer. Follow this up with being entertaining, educational, or engaging, and your ads are sure to stand out and make their way into the hands and eyes of your potential customers. There are several classic advertising methods that you can start with and build upon, but remember to exemplify the aspects of your brand that make it unique, make it the authority, and eventually make it the choice for your potential customers. What About Qualified Content Generation? After working for Armor Techs as long as I have, I've come to realize that this, creating qualified content, is probably the hardest part of running a business with an online presence. From running the day-to-day of the business, handling clients, sales, and infrastructure, most business owners don't have time to continually generate content for their websites. Without a dedicated marketing person (or preferably, team) to accomplish this, your online presence can get stale fast. Creating qualified content starts with identifying your buyer personas. Buyer Personas are simply templates that identify your target audience and their demographic information. They are a fictional, generalized representation of your ideal customer. With these personas defined, you'll know exactly who you are marketing your product or service toward, and will have additional insight on how to entice that specific type of person or business. Once you identify your buyer personas, you should then start discussing content ideas. The way to come to these content idea topics can be as simple as answering a question your personas might have. This can be an answer to how a product works, or different solutions to a problem, or even by explaining a concept that might not be as familiar in other industries. This step is actually where this specific blog post came from, in my attempt to answer what Internet Marketing is, and how to successfully apply it to your businesses needs. Content ideas should be what your target audience wants to, or needs to, hear to understand the value of your product, service, or brand itself can offer. After you've established who you intend to get value out of your content, and what content you'd like to create, it's time to start with the nitty-gritty that is content marketing. Most of the internet is indexed by search engines. These search engines use keywords, intent, descriptions, and titles to curate content for you when you search for something—and the more qualified, prepared, and fleshed-out websites with the right answers almost always appear on the first page of results. The keywords used throughout the page, and in the meta information, are...well, key...to achieving that coveted spot on the first search engine results page. Keyword research consists of taking a few of the main words that describe your brand, product, or service (for example, "technology," "electronic repair," "internet marketing," in the case of Armor Techs) and researching them. There are tons of tools to check how often and to what volume these words are searched for, as well as tools that will give you similar and related words. You should also take a moment to see how potential competitors (even those from out of your direct operating area) are using these keywords to draw in their audience. Does comedy seem to be working for them? Are they answering questions, or asking them? Is their audience engaging with this type of content? Once you've done your research, you should have a brief list of 5-10 keywords or keyphrases. Creating your content around these 5-10 key ideas is what drives your content home to being qualified and authoritative, and will start to help move your business to the top of the search engine results pages. And what about your content generation? You've reached the final step! Obviously, nothing is quite as cookie-cutter as described above, but with these steps, you can start further developing your content creation process, and ensure that your business stays relevant in the digital age of 7-second attention spans. Consistently engaging and interacting with your potential customers is vital to being relevant and keeping top-of-mind awareness for your brand. Content generation in and of itself is a full-time job for most companies, so be prepared to put a little bit of work and/or money into it to get the results you're looking for. If you don't have the time or resources to accomplish this, there are Internet Marketing Companies all over that can help you out and make sure your content is created to your standards for a reasonable price. With these first steps, you can have your internet marketing for your brand up and running with minimal effort. Keeping your topic repository full can ensure that no matter what, you've got some content to create for your site to further push your internet presence. And don't forget, there are alternative solutions to creating the content yourself, especially if you don't have the time to sit down and do it. 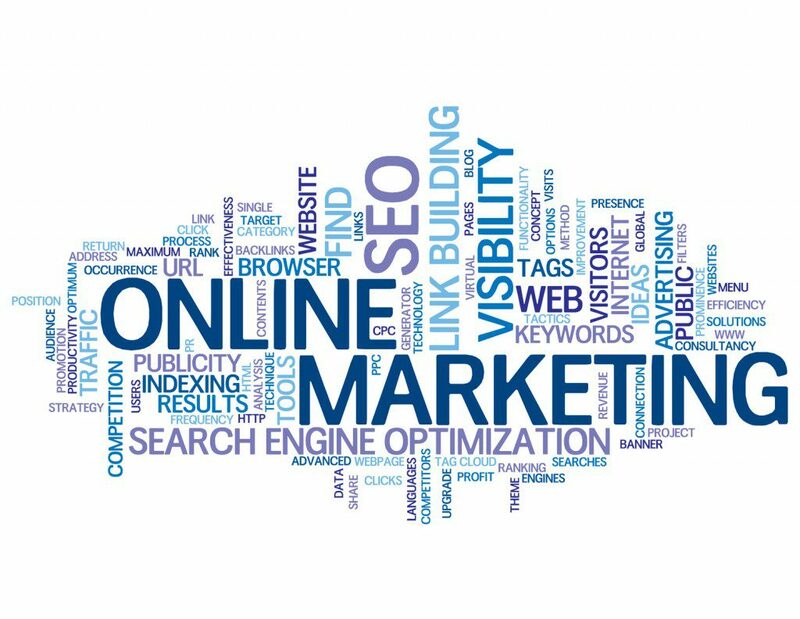 Is internet marketing through advertising or content something that could benefit your business? Are you lacking in your search engine results rankings, and looking to improve them? Contact the Armor Techs today to schedule a meeting to flesh out your internet marketing plan and to start putting your brand and business on the map!